There is no denying that your clothes dryer consumes a lot of the energy that translates into hefty utility bills. It is easy to save that energy during spring and summer when you can leave clothes to dry outdoors. However, it is a lot harder during colder seasons without the sun. It is also difficult for those who live in apartments. To save time and money when drying your clothes, here are some tips and tricks on increasing clothes dryer efficiency. Dry loads back-to-back. It takes a lot of energy for the dryer to initially heat up right after turning it on. So instead of leaving the next load of laundry for the next day, dry it right after the first load. Light and heavy clothes should dry together. Increase dryer efficiency by separating light and heavy clothes. Drying light clothes together takes a shorter time than when you dry them along with the heavy ones. You should also consider the fabric of your clothes to choose the right dryer setting for them. Don’t dry too less. Avoid drying just a handful of clothing. It’s a waste of energy to heat up the dryer just for those few pieces. Hang them outside if you can or wait for the next load of laundry to finish if possible. Don’t dry too much. Overloading the dryer will keep your clothes from tumbling properly. This prevents adequate heat and air distribution. Dry in bulk as much as possible. Replace old models. The dryer in your house that’s been there since forever doesn’t have the energy saving advantage the most dryers today have. New dryer models are now made to improve in energy consumption so it’s time to make an upgrade. Higher spin speeds over longer drying times. If you didn’t already know, it takes more energy to heat up a dryer than to choose a higher spin speed on your washer. Use the high spin speed setting on your washer remove more moisture from wet clothes. This results to shorter drying times and more energy saved. Keep your clothes untangled. Clothes tend to tangle up during washing. Make sure to separate them before loading into the dryer. Knots of clothes usually add to the overall drying time. The dry towel trick. Placing a dry towel with your drying load will soak up whatever moisture is left from the spin. It’s a smart trick and easy trick to save lessen drying times. Have your dryer regularly cleaned. Lint build-up inside your dryer chassis can trap moisture and overheat the dryer. Apart from it causes clothes to stay damp after a drying cycle, this can be damaging and dangerous. 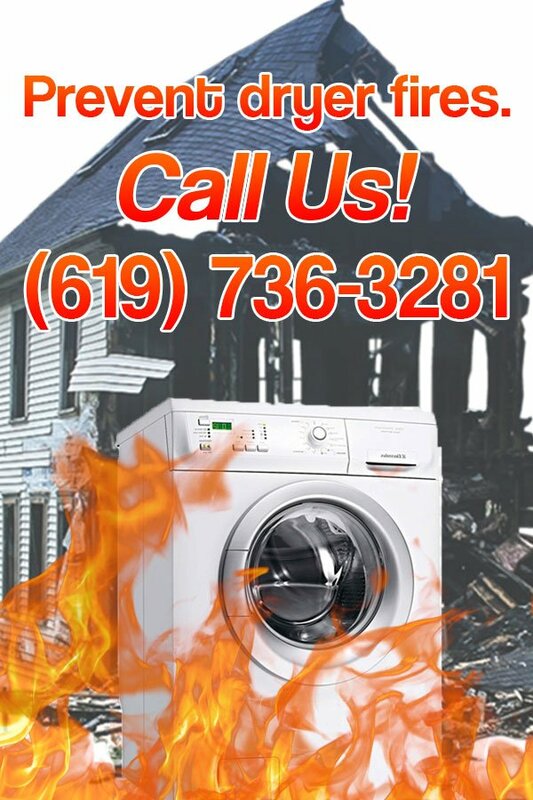 Ask your local dryer vent professional about more information on dryer vent efficiency.